The CD27 molecule is a transmembrane disulfide-linked homodimer which belongs to tumor necrosis factor receptor (TNFR) / nerve growth factor receptor (NGFR) family. The molecular weight of the recognized antigen is 55 kDa / 120 kDa under reducing / non reducing conditions respectively. The CD27 glycoprotein is found on medullary thymocytes, peripheral T cells, subset of mature B cells and NK cells. On T cells, CD27 is preferentially expressed on the CD45RA+ CD45RO- naive subset of CD4+ T lymphocytes whereas most memory T cells (CD45RA- CD45RO+) lack CD27. 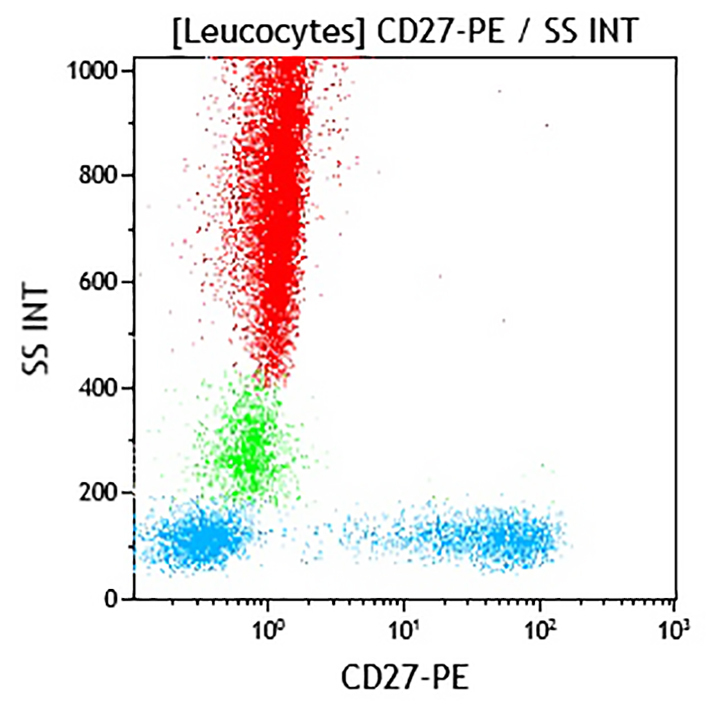 Activation of T cells, when involving CD27 molecule, results in the upregulation of CD27 expression as cell surface embedded, and also in the release of a soluble form of CD27 (sCD27). CD70 antigen, which is a member of the TNF ligand superfamily, interacts with CD27 molecule and is known to be the CD27-ligand.